We all have such a bank. Its name is Time. Every morning, it credits you with 86,400 seconds. Every night it writes off, as lost, whatever time you have failed to use wisely. It carries over no balance from day to day. It allows no overdraft so you can’t borrow against yourself or use more time than you have. Each day, the account starts fresh. Each night, it destroys any unused time. If you fail to use the day’s deposits, it’s your loss and you can’t appeal to get it back. What are you spending your daily balance on? Is there anything you can delegate or outsource in your business so you have more time to focus on what really matters to you? Join in the conversation in the comments here or on our Facebook page. A story about candy and perception and how it can affect your business. One beautiful, sunny day a man was walking his granddaughter home from school. They walked toward the centre of town and the little girl looked up at her grandpa and asked if they could stop by the candy store for a treat. The grandpa agreed, and as they approached the store he noticed there were two candy stores in the centre of town, one on the left side of the road and one on the right. “Which candy store should we go to?” the man asked his granddaughter. “We always go to the store on the right side of the road,” the little girl said. The Grandpa and the little girl entered the candy store and ordered ½ a pound of hard candy. The lady at the counter took a small scoop of the candy and placed it on the scale. She continued to add candy to the scale until it read 0.5 lbs. “See!” said the little girl as she took the bag of candy and walked out the door with a big smile on her face. Now the Grandpa was intrigued, he decided to also get a bag of candy from the store on the left side of the road. When they walked in the store they were greeted with a friendly smile and a, “how can I help you?” The Grandpa ordered ½ a pound of hard candy. The lady behind the counter took a gigantic scoop of candy and placed it up on the weigh scale, she then proceeded to remove candy until the scale read 0.5 lbs. The lesson here isn’t the bottom line – both stores sold 0.5 lbs of candy. The lesson is about perception – how customers and potential customers see your actions. Adding services (or in this case candy) results in a favourable opinion whereas deducting services can be a detriment. Promise less and provide more and you’re sure to please. What do you do to better your client’s perception of you? Attn: Real estate agents in Calgary! 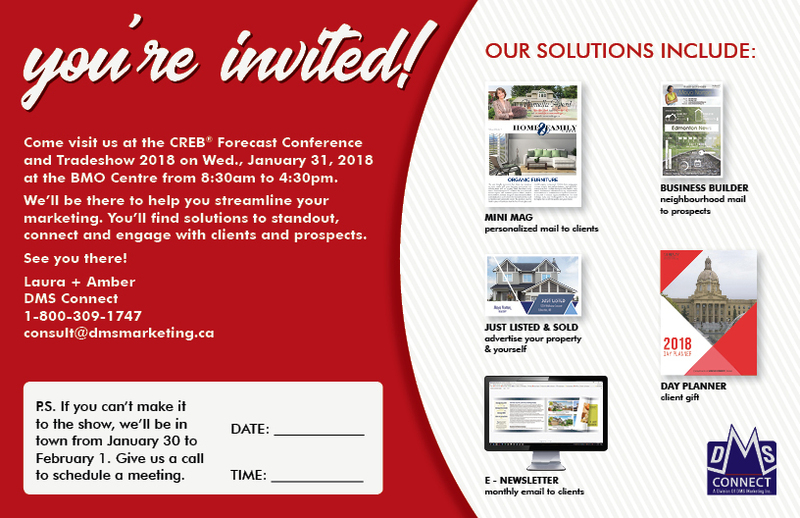 We hope to see you at the CREB® Forecast Conference and Tradeshow 2018 on January 31, 2018. We’ll be at booth 517, so stop by and say hi. If you’re not able to make it to the show, we’ll still be in Calgary on February 1 and 2, so send us an email if you want to get together to talk relationship marketing. Monthly Motivation: Are people buying what you’re selling? 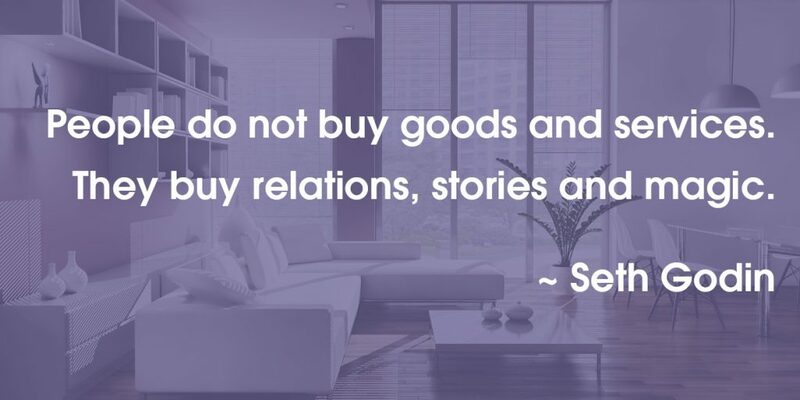 Do you build relationships, tell stories and inspire magic in your real estate business? Are you selling a property or a lifestyle? Does your marketing reflect this? Are these types of things only for marketing, or do you bring them into the way you conduct business too? Share your ideas, tips and tricks below. Learn more about Seth Godin here. 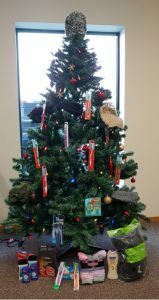 We need your help to fill up our tree! These are the last few days we are gathering donations to help warm those in need this holiday season. 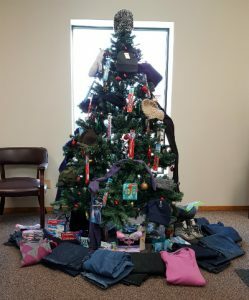 Please stop by our office before December 18 to drop off your donation for the Hope Mission. We’re open Monday through Friday from 8:30am to 4:30pm and are located at 101-10620 178 St NW. 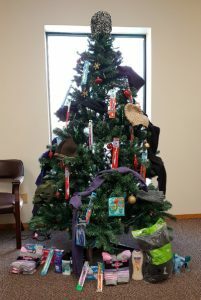 The most needed winter wear items for those the Hope Mission services include: New underwear (men’s and women’s), new socks, gently worn and clean winter jackets, shoes and boots, gloves and mittens, sweatpants, men’s jeans (sizes 30-36). Non-clothing items needed include: deodorant, disposable razors and shaving cream, toothbrushes and face cloths. Please stop by and help us warm those in need this holiday season. Monthly Motivation: What is routine? What routine do you have in place to reach your goals? Tom Ferry, American motivational speaker, self-help author, investor, and founder of a real estate coaching and events company, Tom Ferry – Your Coach, has this to say about routine in his book: Mindset, Model and Marketing! : The Proven Strategies to Transform and Grow Your Real Estate Business. You are invited to join us, DMS Connect, at the REALTORS® Association of Edmonton REALTOR® Summit & Trade Show! Check with the REALTORS® Association of Edmonton about how to register! We will be there to help you streamline your marketing. You will find solutions to standout, connect and engage with clients and prospects. Current clients, please stop by to say, “Hi” to us. And, while there, bring a colleague along that can benefit from our services so they can take advantage of our show specials! 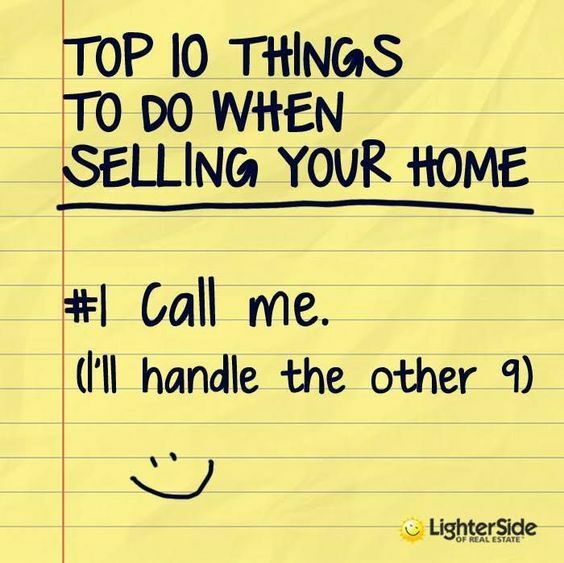 Using humour in real estate can be a great way to break the ice when getting in contact with prospects and clients. What funny ads, calls to action, etc. have you seen over your career? Do you use humour in your marketing? Do you find it effective? Let us know below. From starting University with a football scholarship to graduating with a 3.9 GPA and starting his own business, this student learned a lot about life, hard work and defying stereotypes. We believe these are valuable lessons for everyone at any stage of their career. Read the story here and get inspired. Your success in real estate is what you make up your mind to achieve. We’d love to hear how you keep yourself motivated and how you ensure you reach your goals. If you’re not realizing the success you know you’re capable of, give us a call. We can help with your marketing and put some time back in your hands so you can focus on what you’ve made up your mind to achieve. And you know what that means – time to start thinking about Holiday Communications! Yes. It’s time to start planning your 2017 holiday communications for clients. Whether it’s calendars, day planners, letters or cards, now is when you should decide what you want to do and get your order in. Then, in the fall, you’ll be way ahead of your colleagues and under way less stress. We’ll even send you a few of our business cards so you can pass them onto your colleagues when they’re starting to wonder how you’re so relaxed come November/December! Please comment below, email or call us at 1-800-309-1747 to place your order!